This project is based on a recent technique : nanoIR. It's the combination of IR-spectroscopy and AFM. 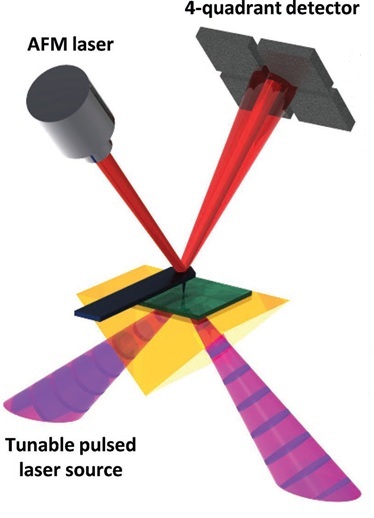 A pulse of tunable laser is absorbed by the sample. This causes an abrupt thermal expansion of the sample. The AFM tip, which is in contact with the sample, starts oscillate. Figure 1 shows the principe of nanoIR. The aim of this project is to extract properties of the sample from the ringing response. 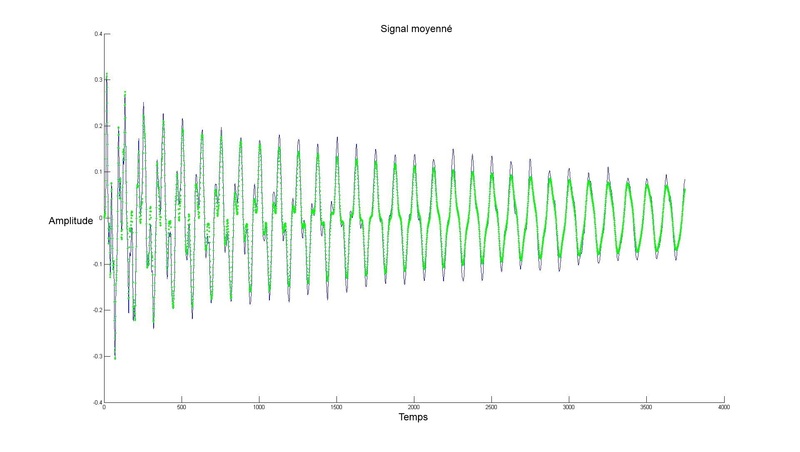 The signal is a sum of several damped sinusoid. In order to extract the amplitude, the frequency and the damping we use Prony's method. Figure 2 shows the coefficients found by Prony's method (green) on a averaged signal (black).